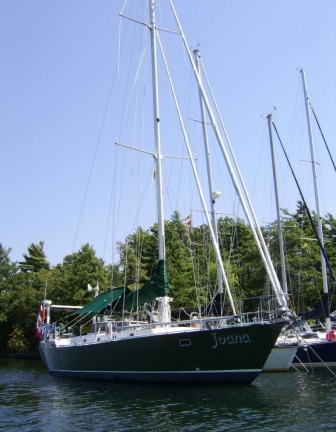 Sailing Vessel (SV) JOANA and her Crew - Where is Joana? Where is Joana right now? On 3 May 2009, we headed off on our adventure. 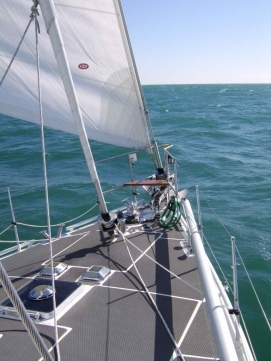 The purpose of this page is to document our trips and display our current position. Don't expect our location to change too frequently, as sometimes we stay for weeks or longer in one place. We are not in a rush. In fact, on average we are underway (by sail or motor) for 15% of the time. Wade has a HAM callsign and an account with WINLINK 2000. You'll be able to find out where we are currently located by pressing this BUTTON. If you push “show log entries”, at the bottom of the screen (similar to what you see below), this will show you chronological running log entries, each time we send a position report.